​I attended The Art Institute of Chicago for three years studying watercolor; I recieved degrees in Art and Psychology at Gallaudet University. I sold most of my watercolor paintings in Illinois and Chicago area before moving to Cedar City, Utah. 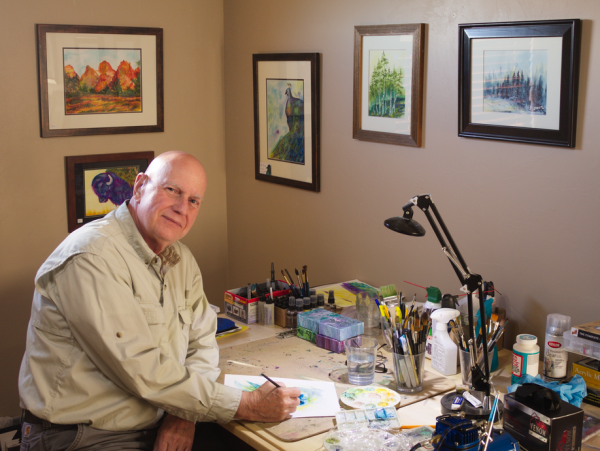 I am a member and former president of Southern Utah Watercolor Society. Watercolor is my primary medium as I play with colors, and I am not afraid to use a variety of colors to express my imagination. I have been painting for more than 30 years. I paint in my studio at home.